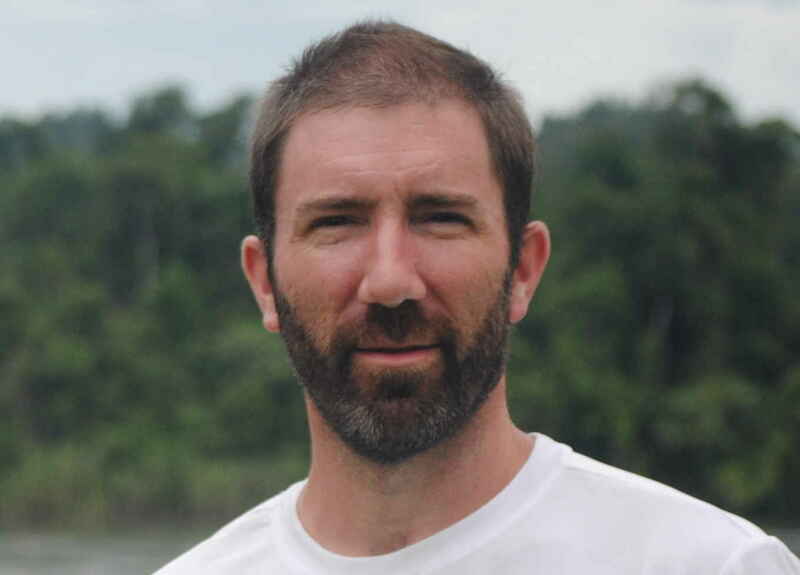 Paul has been laboring among the Northern Korowai just north of Papua's Asmat region since 2012. Along with planting churches and training indigenous leadership, Paul is also in the process of learning the Korowai language. After learning the language, he and his co-laborer, Trevor Johnson, hope to begin translating the Bible into this tribal language. Throughout my life I have been known as a PK and an MK. I was surrounded by religious activity. My whole life was religion, and yet I was an unsaved hypocrite in church. What is a PK? What is an MK? Preacher’s Kid & Missionary Kid. I was both, and yet I was a hypocrite. What is a hypocrite? I know this definition even better. It is one who focuses on the appearances of the external, but does not desire that his soul be clean within. It is one who trusts in his outward actions, even in a congratulatory way, as a way of commending himself before God. It is one whose feet-actions do not reflect his mouth-claims. It is one who convinces himself he is bound for heaven, but is dangling by a web over the fire, and at any moment could drop into everlasting torment. I was the son of a pastor, the son of a missionary. No one ever questioned my supposed allegiance to God because I owned the religious titles. I lived on the mission field. I played with other children of pastors. I spent my life in church. I knew all the terminology. I knew how to behave in the presence of polite company, and yet I was an unsaved hypocrite. I would sit in church services year after year believing all was well with my soul, singing, “Oh how I love Jesus,” then I would walk out the church doors and live like the devil. I possessed head knowledge while lacking heart transformation. My “repentance” was a mirage. Trusting in a momentary prayer feigning repentance is not the same as trusting in the God who grants a lifestyle of repentance. My lifestyle, by contrast, showed who I really was. I stiffed-armed God in the face, while mouthing my love for Him. John the Baptist said in Matthew 3:8, “Bear fruit in keeping with repentance.” There was no fruit in my life that backed up what I claimed to be. When I was 26, God found me and opened my eyes. God granted repentance even to me, even after I had accrued such an accumulated weight of sin. For the first time in my life I saw my sin and His perfect holiness. I remember weeping with such joy over the forgiveness that He granted me because I did not have to hide anything anymore. I was free, and the saving faith that God gave me fell upon my soul in such a way that I could not refuse His grace. True repentance takes place only through the work of the Spirit of Christ in one’s life. This true repentance began to affect my everyday life. It had feet, and it began to mobilize me for action. Maybe you are also sitting in church, even while you are under the wrath of God. Maybe you are performing religious exercises, and yet your soul is black. Maybe you are doing well to “play church” on Sunday mornings and put on the mask that will reveal a false identity. Perhaps this mask hides your lack of love for God’s Word and your lack of respect for God in your Monday-through-Saturday lifestyle. Maybe you are a deacon’s kid, a preacher’s kid, a life-long church member, but are trusting in these things and not realizing your lost state. How much greater will your damnation be on the Day of Judgment, if you sin against such a great and infinite God? It will be better for the unreached tribes of Papua, Indonesia, who sit in darkness, than for your soul. How I thank my God that He has seen fit to save me, and to save me with the purpose of service - as a missionary like my father. My wife, Trish, and I serve in the most remote place on earth ministering to a tribe in the lowland swamps of Papua, the Korowai People. Papua, Indonesia, is not too distant from my childhood home of Australia. Yet, whereas I left Australia as an unsaved man and self-serving hypocrite, I have returned to Asia as a saved man whom God called into His divine service in order to pour out my life so that others may taste the sweet wine of His mercy. Praise God for that mercy! Praise God that though my obstinacy hardened my heart as packed clay, God in His mercy softened it with the sun of His love. And now, I even rejoice that God may use my story of hypocrisy amongst religious activities to awaken you to your sin, and cause you to seek the true God who is not content to merely polish the exterior of the sepulcher, but is able to make you whole within. My wife is named Trish and we have two children, Lane and Marianne. I could not ask for a better partner in this ministry than the woman God has given me. Lane is nine years old and in fourth grade. Marianne is six and in first grade. Please pray for me as I lead my family and labor to give myself to the Korowai people. Paul, Trish, Lane and Marianne.